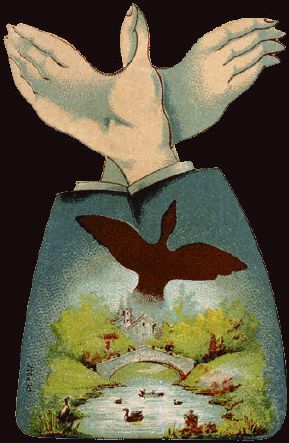 A series of cards from the years 1890! 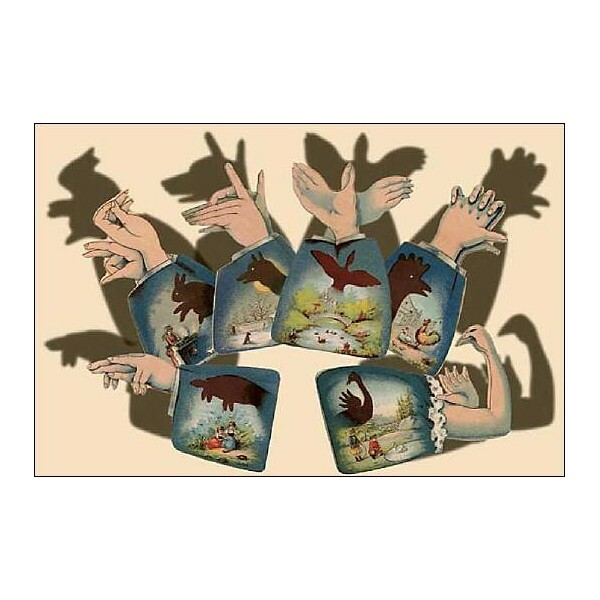 These cards, produced in the latter 19th century as advertisement promotions for a chocolate company, cast their own hand shadows without the use of any hands. 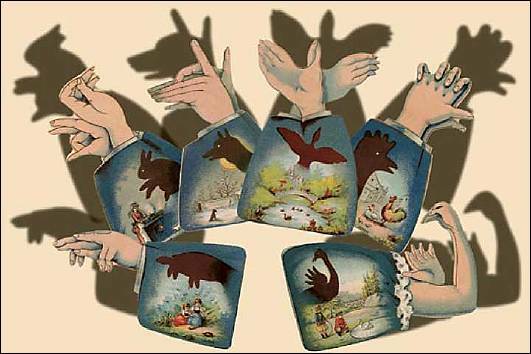 These cards, produced in the latter 19th century as advertisement promotions for a chocolate company, cast their own hand shadows without the use of any hands. 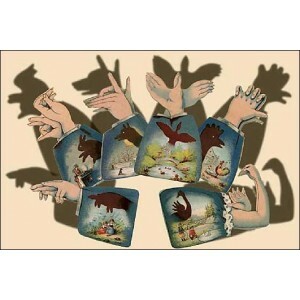 Six cards die cut in the shape of the animal depicted on their face. In envelope (as pictured below).